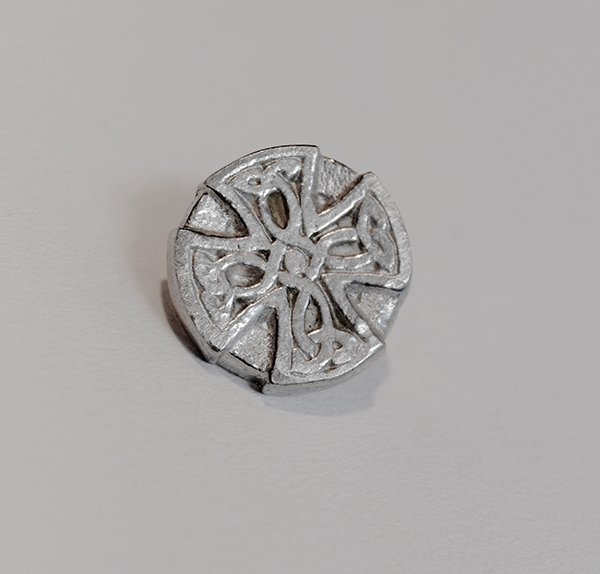 Cornish tin lapel pin reproduced from a hand sculpted original of the Cardinham Cross. Hand cast and crafted from 100% Cornish tin, mined at South Crofty before closure in 1998. Presented in a quality velvet lined gift box and issued with a certificate of authentication. Fasten it to your lapel, your hat, your tie!